Unlike most other dogwoods, the blooms of this species are sulfur-yellow, appearing in small, rounded clusters in early spring, well before the leaves appear. Another attractive feature of Cornus mas is its distinctive mottled and flaky bark with hues of gray, tan and orange that somewhat resemble crape myrtle. The flowers have the ability to withstand sub-freezing temperatures making them some of the first to appear each spring. 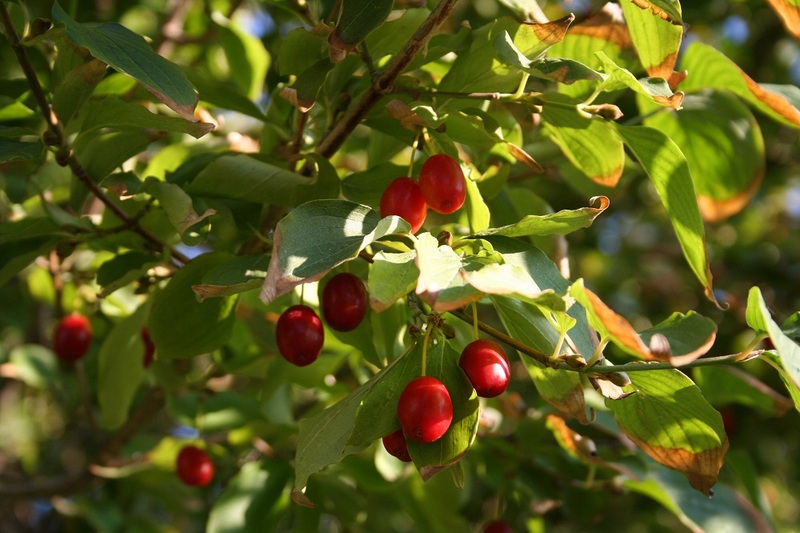 Corneliancherry dogwood gets its name from its bright red, cherry-like fruits that are put to a variety of culinary uses in Europe and Asia, where the species is native.